Rocio Garcia-Retamero, advanced associate professor from the University of Granada, Spain, is an expert in the psychology of stereotype formation, gender issues, medical decision making, and risk communication. Garcia-Retamero will present, “Communicating Risks to Diverse, Vulnerable People,” from 3:30 to 4:15 p.m.,Thursday, Jan. 31, in the MEESE Center, Room 110. She will be reviewing a collection of studies investigating the benefits of using visual aids for communicating health risks to diverse and often vulnerable individuals. Theoretical mechanisms, open questions, and emerging applications will be discussed. Garcia-Retamero has published nearly 100 articles and chapters on these topics including two recently completed books. She is funded by grants from the “Spanish Ministry of Science and Innovation” and the “Foundation for Informed Medical Decision Making” in the US. Send questions to Edward Cokely at ecokely@mtu.edu. Associate Professor Kedmon Hungwe (CLS) will present a talk on “What You May Not Know About Africa” from 6 to 7 p.m. tonight (Tues. Jan. 29) at Hancock High School. The event is in honor of Martin Luther King Jr. Day. Admission is free. Shari Stockero’s CAREER award was the focus of Those who can, teach in Michigan Tech Research 2012. Read more at Michigan Tech Research 2012. 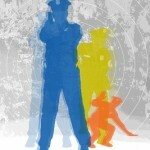 The Michigan Tech Research magazine for 2012 featured Good Cop, Better Cop. 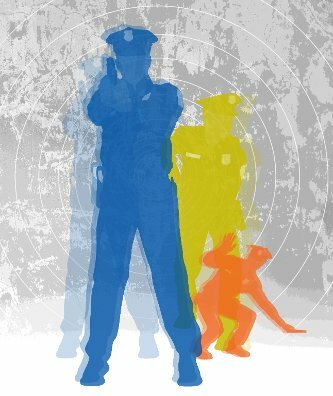 The article focused on research by Paul Ward concerning the understanding of police performance in the field.